Last week we got a little depressed talking about how the Labor Day countdown is on, how the pumpkin flavored beers are about to hit our shelves, and about the holiday planning we (and all retailers) are doing right now. Talk about a downer. But when looked at another way – meaning through the lens of the actual dates of the equinox – there’s reason to rejoice: There are seven Saturdays remaining in summer. Seven! Though this does include the first day of autumn, Saturday, September 22, the equinox doesn’t officially occur until 9:54 that night – which means there’s plenty of time during the early evening to enjoy a bottle or two. Consider doing like us, and celebrate the enduring summer by opening a different bottle of rosé each week. Though we do drink the pink year-round, the enormous variety of well-crafted bottles made available to us this year means we can continue to enjoy the style without rosé fatigue. Herewith, our picks for these remaining 7 summer Saturdays. This entry was posted in Learn About Wine on August 8, 2018 by bottlesfinewine. It’s our hope that the new symbols will lead you to new finds and will help you drink better. Cheers to that! This entry was posted in Learn About Wine, Other and tagged biodynamic, organic, symbols, vegan on July 3, 2018 by bottlesfinewine. It’s a year-over-year classic and staff favorite with good reason: the Montaud is a dry rosé-drinker’s dream! It’s light with fruit and spice notes and finishes with hints of peaches and stone fruits. Get a bottle for the night, or a box for the weekend. You’re welcome. Bright, shiny and clean, the Bodini bursts with cherry and strawberry aromas and subtle notes of spice and pepper. It has a touch more body when compared to super light styles, and finishes with a fresh, balanced acidity. It’s a terrific pick for those just starting to drink the pink. It’s baaaack…this was the runaway hit for us last spring/summer and this year’s bottling is just as tasty. Think white flower blossoms, peach and light berry fruits, with a good though not overpowering acidity, and a spicy minerality on the finish. Then think about how much fun you’ll have drinking it. This was one of the bottles that sold out fast last year – be sure to stock up! Stay tuned over the next few weeks as we share more of our favorites as they arrive. This entry was posted in Learn About Wine and tagged pink, Rosé, rose wine on May 14, 2018 by bottlesfinewine. OK, let’s start with a fact: Despite what the mainstream media, your Instagram feed and your Aunt Jenny are putting out there, this is not the start of Rosé Season. There isn’t anything in the official anything anywhere stating that rosé can only be sipped in the warmer, sunny, cheerful season. There’s no “Rosé Rule” that, like the No White After Labor Day silliness, applies to pink wine. Rosé is one of the most versatile styles in the history of wine, and pairs remarkably well with pretty much anything you can throw at it – cold weather and winter fare included. What spring does represent is the start of Rosé Arrival Season. It’s when the fresh new batches of rosés made with fruit from the previous year’s harvest are released to us at Bottles, to offer to you. It’s when we get to taste hundreds of new vintages to decide which we think you’ll fall in love with over the coming year, whether enjoyed on your porch on a sweltering July night, or with your family over Thanksgiving dinner. This year’s feat of selecting was harder than ever, what with the increasing oceans of rosé being produced all over the world. 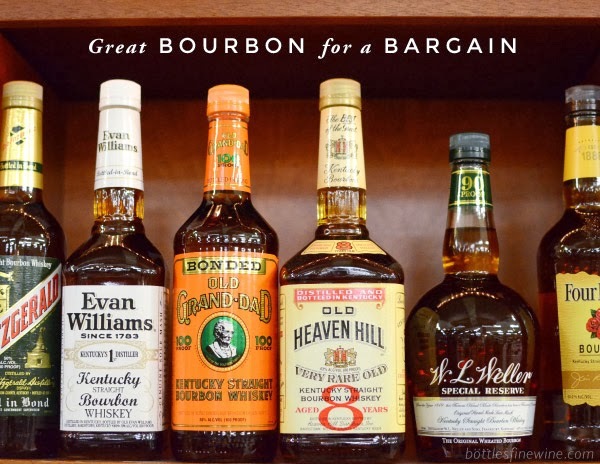 We do our best to bring you the best of the new, while still making available the classics that prove themselves worthy of our precious shelf space — and your wallet — year after year. A reminder: for many rosés, this Arrival Season is fleeting. Some are made in miniscule batches, meaning once they’re sold out, they’re gone for the year. So if you spark to one bottle in particular, check with our team on its availability so that you can squirrel some away for your November turkey feast. This is one of the “now you see it, now you don’t” rosés: It’s one of the first to arrive, and because it’s made in incredibly small quantities and is just delicious, it’ll be one of the first to sell out. It has a spicy acidity, ripe cherry and raspberry flavors, and finishes with a touch of white pepper. Get it now while the getting is good. A super easy-drinking, bright and fresh rosé with undertones of a juicy fruit salad. Its acid level is pretty low, which makes it very crowd friendly and a perfect introduction to rosé for those new to the style. We’re calling it: this is going to be the sleeper hit of the season. It’s new to Bottles and not yet on the industry’s radar screen, which is why we’re able to offer it at such a great price. It’s lively and refreshing like a bowl of ripe raspberries. It has lovely wildflower aromas, too. This new-to-Bottles bottle won a huge rosé award last year on the West Coast (The San Francisco Chronicle Wine Competition), so we’re thrilled that it’s made its way to us this year. It’s dry, packed with fresh watermelon, pomegranate, cranberry and citrus flavors, and backed by a lip-smacking acidity. It’s made from Italy’s most famous grape — sangiovese, the main grape in Chianti — so it’s no surprise that it pairs beautifully with a bowl of spring pasta, enjoyed on the porch. You’ll be hearing lots from us soon about this really amazing Lebanese winery in the Beqaa Valley. For now, though, trust us that this beautiful bottle will charm you to no end. It’s full of ripe summery strawberry fruit with subtle spice notes, and satisfies with a dry, crisp finish. Tune in next week for Part II when we share the remaining four rosés that are among our favorites this year. This entry was posted in Learn About Wine, Other and tagged pink, Rosé on May 9, 2018 by bottlesfinewine.